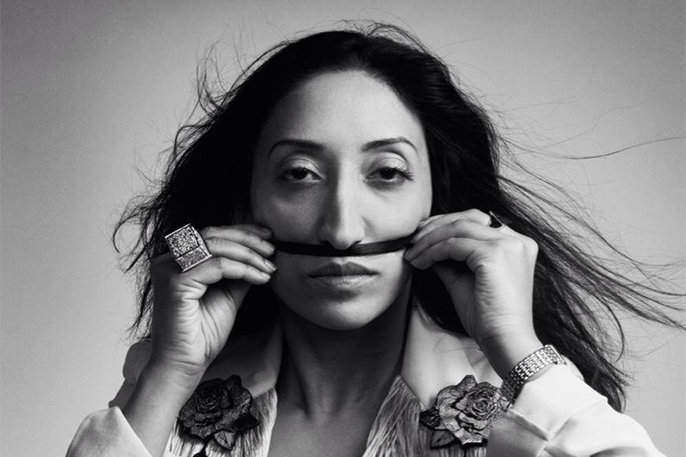 Upfront Comedy is back at Hoxton Hall with comedian Shazia Mirza’s who will bring her sold-out show to Hoxton Hall for one night only. Shazia is not afraid to talk about subjects such as female body hair and jihadi brides, she pushes the boundaries for example in her radio piece which subsequently received a record number of complaints on the BBC. Lead by comedian and performer John Simmit, Upfront Comedy are one of the Britain’s leading comedy promoters, with regular nights across the UK and four regular nights across London. John said, ‘It’s great to be back at Hoxton Hall with Shazia. She was here last year as part of a line up but this time round it’s just her performing. She's definitely in the top two funny Brummies I know’. The Kardashians Made Me Do It is partly inspired by three girls who left Bethnal Green to join ISIS and the BBC radio piece on the phenomenon of jihadi brides. The show tells of the confusion it caused as she looks into the nature of offence, the dangers of politically correct liberalism versus the sinister and terrifying intrusion of ISIS into the lives of young British Asian women. For one night only, the daring, honest and thought-provoking comedian takes the audience on a journey as she delves into what could make these young girls decided to fly across the world to become Jihadi brides. And how no matter how bizarre it may seem to some, ‘women have always been attracted to barbaric men… Nothing fools people as much as extreme passion. It’s the Donald Trump syndrome. What you’re saying doesn’t even have to be true just as long as you are extreme and passionate’. Shazia Financial Times.